News: architecture firm Foster + Partners has unveiled proposals to increase the capacity of New York's Grand Central Terminal by widening approach routes and pedestrianising streets (+ slideshow). The architects were one of three teams invited by the Municipal Art Society of New York to re-think the public spaces in and around the 100-year-old station, which was designed to serve around 75,000 passengers a day but often sees as many as a million passing through. 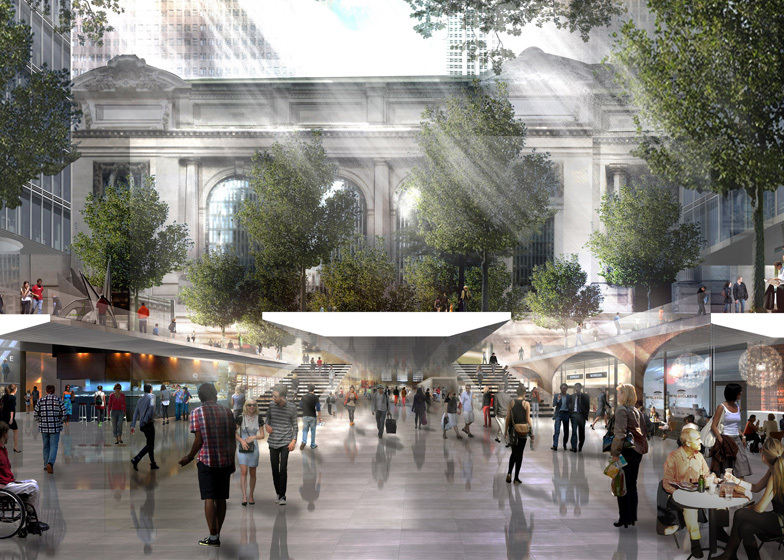 Foster + Partners' proposals include the pedestrianisation of Vanderbilt Avenue to the west of the station, creating a public square at the entrance to the new East Side Access lines, surrounded by trees, cafes and public art. 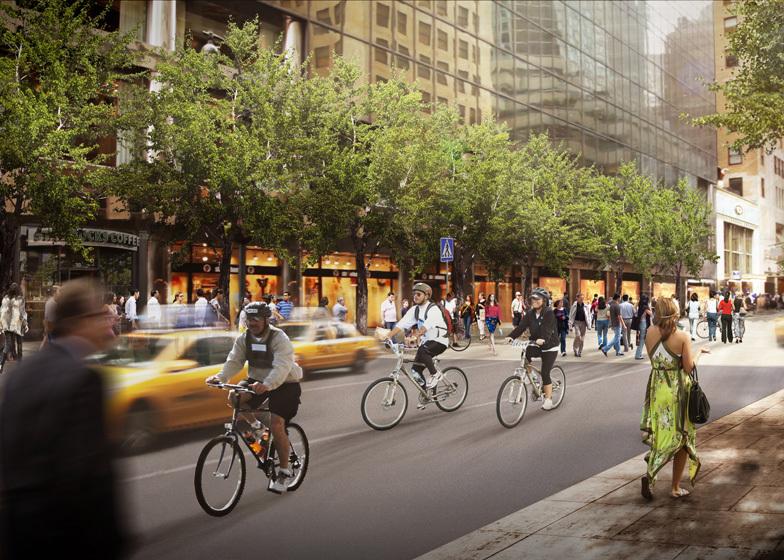 The plans also include wider pavements and trees on the southern approach from 42nd Street and along Lexington Avenue to the east, while larger underground spaces would lead into the terminal from Park Avenue to the north. Inside the station, wider concourses would help to ease congestion for travellers on the 4, 5, 6 and 7 metro lines. "The quality of a city’s public realm reflects the level of civic pride and has a direct impact on the quality of everyday life," said Norman Foster. "With the advent of the Long Island Rail Road East Side Access, along with the plan to re-zone the district, there has never been a better opportunity to tackle the issues of public access and mobility around one of the greatest rail terminals in the world." Foster + Partners presented their proposals yesterday at the third annual MAS Summit for New York City, alongside American firms SOM and WXY Architecture. In the last year the firm has also won a competition to design a high-speed rail station for Spain and presented proposals for an airport and transport hub on the estuary outside London. 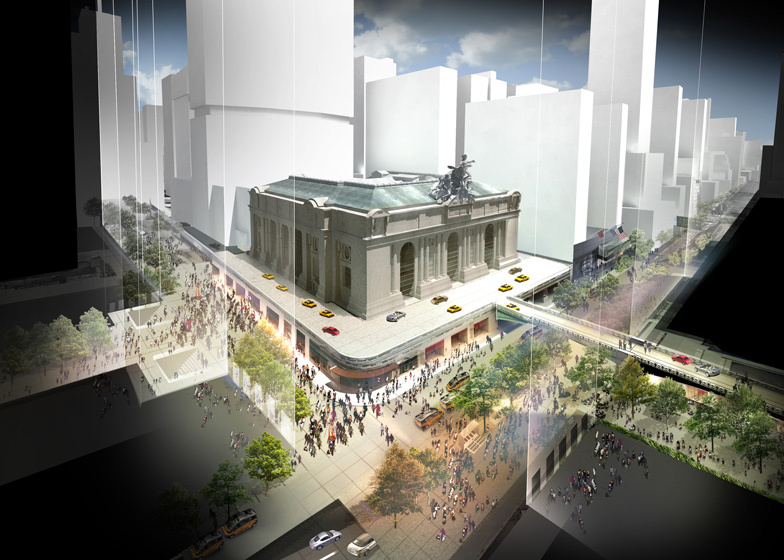 Norman Foster presented proposals for a masterplan to bring clarity back to Grand Central Terminal at The Municipal Art Society of New York’s annual Summit in New York last night. Grand Central Terminal is one of New York’s greatest landmarks and contains perhaps the city’s finest civic space. However, over time it has become a victim of its own success. A building designed to be used by 75,000 people per day now routinely handles ten times that number with up to a million on peak days. Within the station, the proposal creates wider concourses, with new and improved entrances. Externally, streets will be reconfigured as shared vehicle/pedestrian routes, and Vanderbilt Avenue fully pedestrianised. The proposal also creates new civic spaces that will provide Grand Central with an appropriate urban setting for the next 100 years. The 42nd street entrance to the south, where access is severely constrained, will be widened to fill the entire elevation by using existing openings, thus greatly easing accessibility. 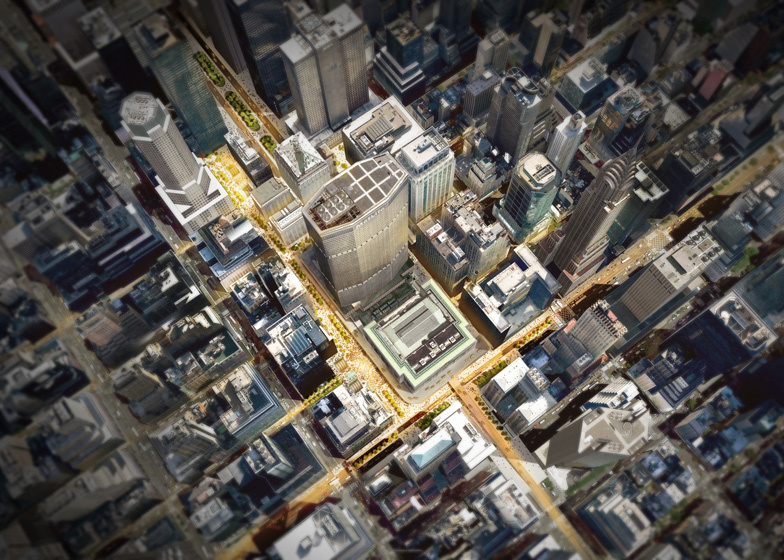 The access via tunnels on the northern approach from Park Avenue will be rebalanced in favour of pedestrians by creating grander, enlarged underground spaces through the Helmsley building. 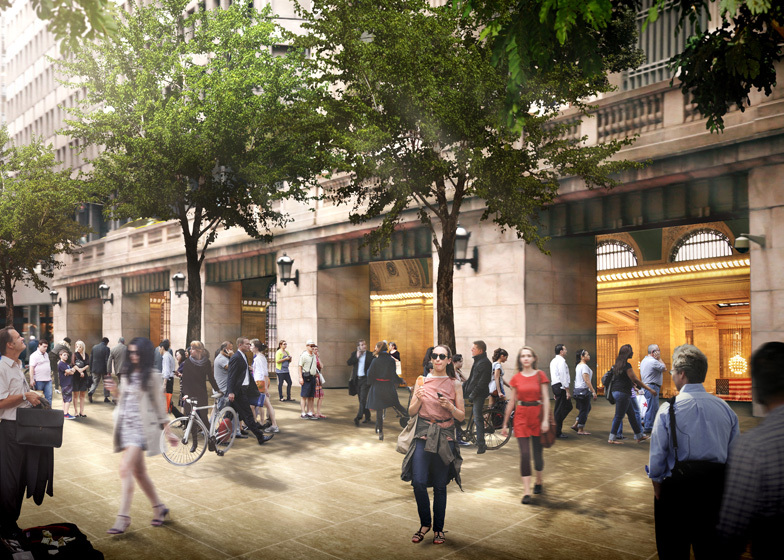 Lexington Avenue to the east will be tree-lined with wider sidewalks and will benefit from more prominent and enhanced tunnel access to Grand Central Terminal. 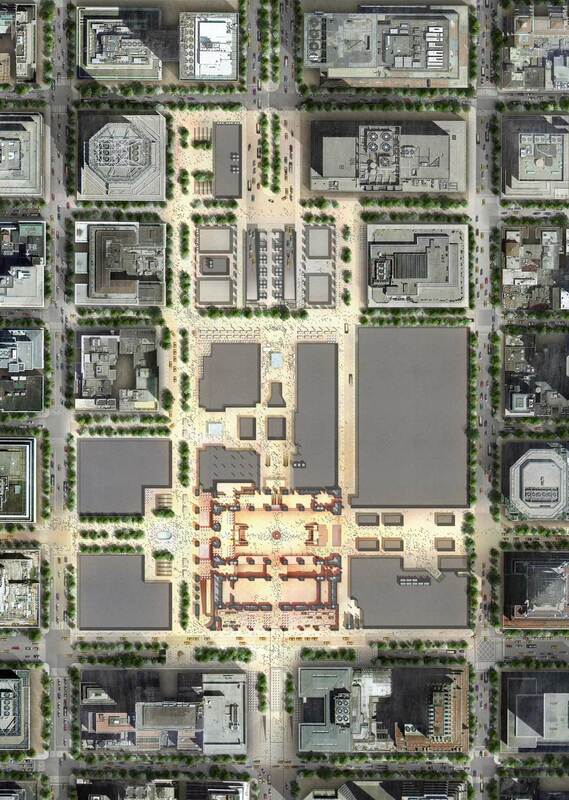 The idea already mooted to pedestrianise Vanderbilt Avenue to the west would be extended. The street would be anchored to the south by a major new enlarged civic space between 43rd Street and the west entrance to the Terminal and to the north by a plaza accommodating new entrances to the East Side Access lines. 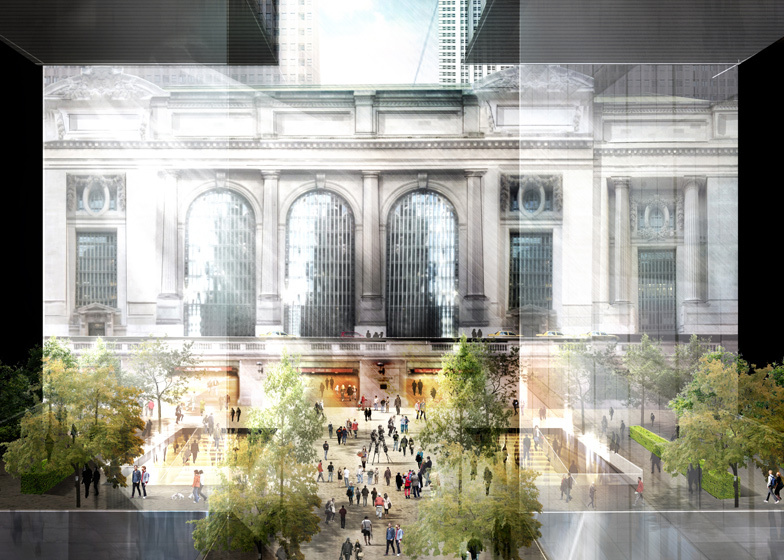 Trees, sculpture and street cafes will bring life and new breathing space to Grand Central Terminal. At platform and concourse levels where congestion is particularly acute for travellers on the 4, 5, 6 and 7 lines, we will radically enlarge the connecting public areas, to address the huge increase in passenger traffic in the last 100 years. This will transform the experience for arriving and departing commuters and passengers. A generous new concourse will be created beneath the west entrance plaza on Vanderbilt Avenue connecting directly into the main station concourse. 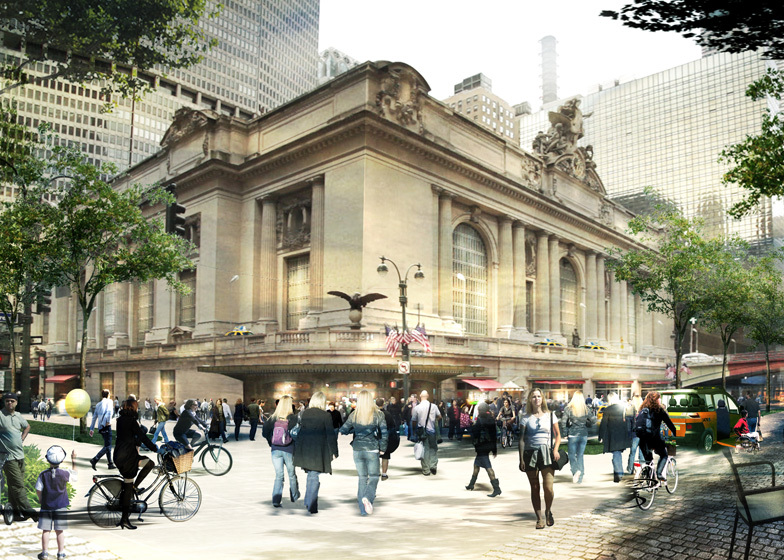 This visionary masterplan with its focus on pedestrians and travellers will allow Grand Central Terminal to regain the civic stature that it deserves as a major New York landmark and an appropriate twenty-first century transport hub.